A gift basket offers a way to say that you care about someone with a few personalized items that the person might enjoy. 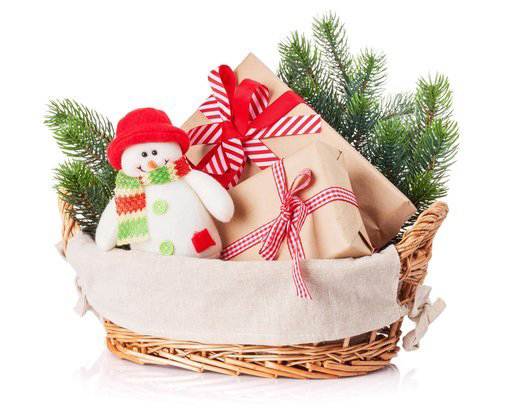 When you're making the basket, there are a few tips to keep in mind to create a gift that is substantial with the items that you include. Themed gourmet food gift baskets are often easier to make because you have a base to begin with, such as a basket that includes coffees and cookies or baked goods. Wine is also a good item to put in a basket as well as sparkling cider if the person doesn't drink alcoholic beverages. The first step is to begin somewhere. You might have something in your home that offers inspiration or something that you see in a store that prompts an idea for a basket. After you determine what kind of basket to design, get the container. Have a little fun with the container that you use, such as a pail and a shovel on the side for a beach basket. You can also use monogrammed baskets or toiletry bags for gifts instead of a plain basket. If you have to use a basket, then get a ribbon or other materials that coordinate with the theme to wrap around the exterior. A benefit of putting a gift basket together is that you can make it as creative as you want and any size that you want. Try to find out what the person enjoys, such as a certain kind of coffee or tea or if the person likes going to a certain store. Include a few homemade products, such as cookies or brownies. Even if everything in the basket doesn't coordinate with the same theme, the items inside should still be those that can be used by the recipient for something that the person enjoys.